The Anushka Group of Salons, has over the last decade successfully established itself as the absolute destination for your beauty, styling and well-being. 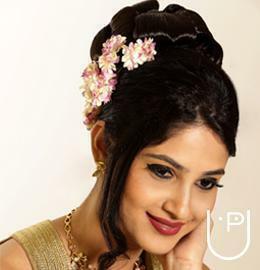 Under the innovative guidance of Shibani Vasundran, internationally qualified beauty and wellness specialist and expert hair-care professional, Anushka has grown to become one of the best salons in Chennai. Anushka offers ingeniously designed and managed salons with skilled, meticulous stylists. The state-of-the-art equipment, advanced beauty therapies and cutting edge techniques are all finely oriented to satisfying the most discerning clients. Tailor-made services utilize ingredients and treatments especially selected to elevate the experience from the merely special to the truly unique. The dedicated staff is thoroughly trained by L’Oreal Professional Technical Experts in all aspects of client-servicing. All personnel undergo rigorous, intensive training, and are required to regularly attend workshops to keep abreast of the latest trends in styles and techniques, and continually develop their artistic creativity. What is the difference in summer make up and winter make up? How is Airbrush makeup different from Mineral makeup? How many months it will take to be a professional makeup artist ? which brand do you think has the best makeup package? Salon Anushka conducts classes in Makeup Artist. It is located in Teynampet, Chennai. It takes Regular Classes- at the Institute.